Peel and de-seed the peppers. Slice them in to strips. 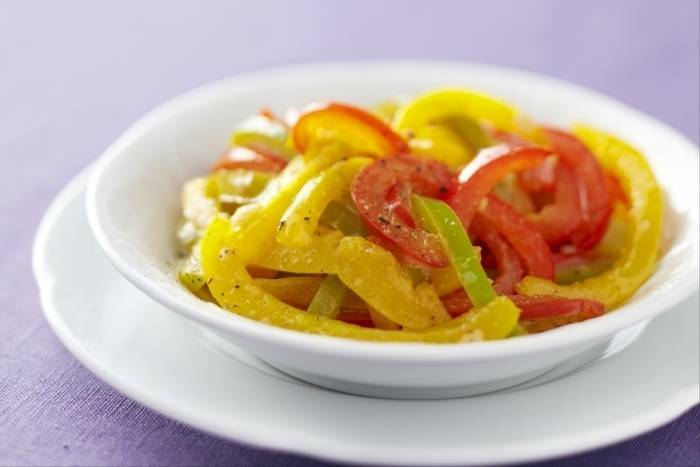 Place the peppers, garlic, lemon juice, argan oil and cumin powder in a bowl. Season with salt and pepper and mix well. Leave to marinate for at least one hour before serving with the rocket leaves.